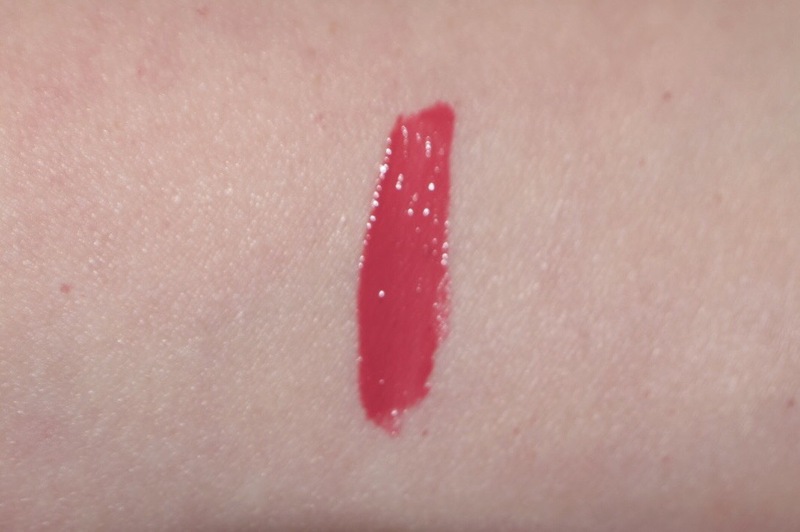 Hope you all have been enjoying fall so far with leggings, boots, and berry lips. I received some unexpected items this month that I am really excited to share them with you guys. First I would like to thank the lovely Cat from My Lip Addition for hosting an awesome Kawaii Box giveaway and for being an inspiration to me. 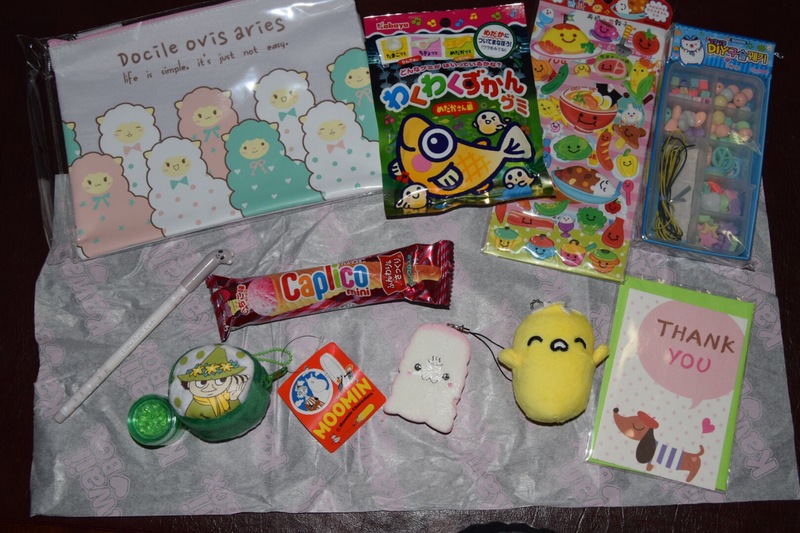 Also a huge thank you to Kawaii Box for selecting me as the winner of their September Kawaii Box!! I received some really unique items that I wouldn’t have had the opportunity to own or try. 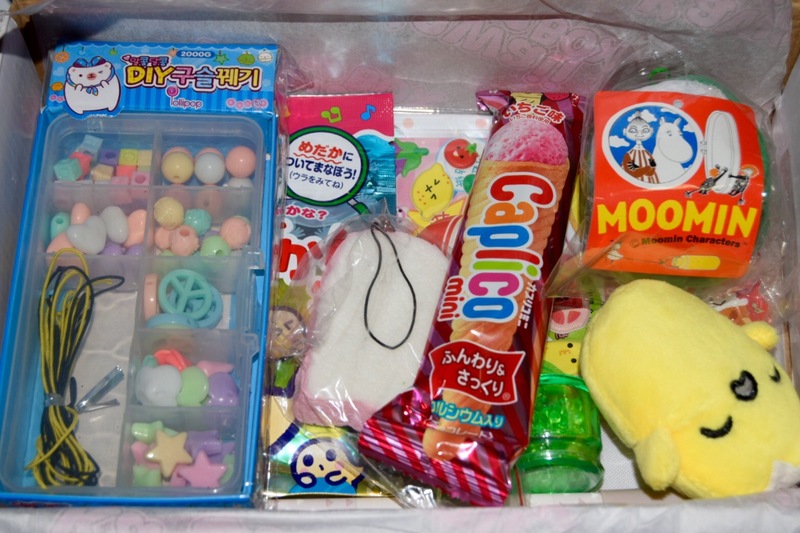 My Kawaii box was filled to the brim with colorfully fun items. It was so much fun that I had to share with my kids (even though I secretly wanted to keep it all) because I am a nice parent and couldn’t say no. I have to admit that the “cycle of a fish life” candy was super strange but delicious. The gummies were in 3 patterns; pregnant fish, fish egg and fish…..weird right? Trust me they were really good!! I also received a bunny pen, thank you cards, and stickers. Who doesn’t love cute stationary? There were also several plush items (keychain, ornament, and coin purse). The cutest of all was a pouch that said “Life is simple it’s just not easy” and I am still fighting over this one with my daughter. lol. 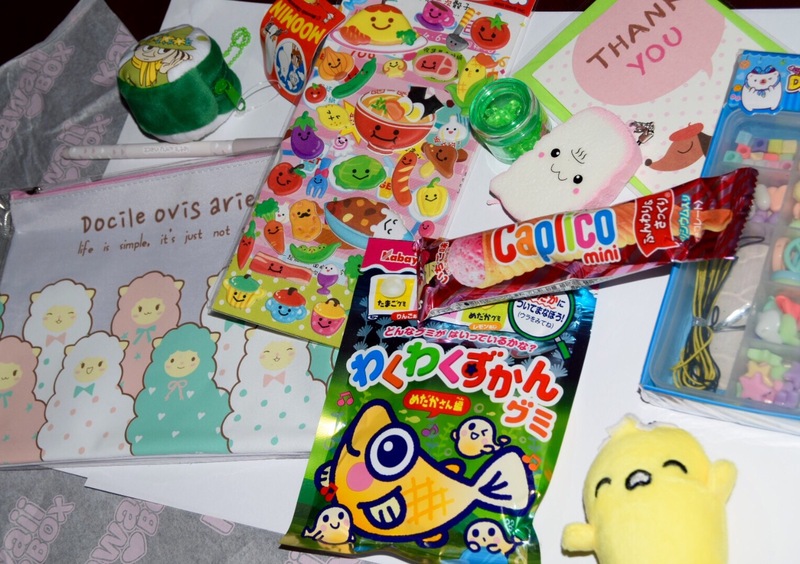 If you are interested in getting a curated box filled with 10-12 cute Japanese & Korean items you can join here. I have also been receiving random items that I won during Allure’s Best of Beauty contest in August. What is really surprising is that I haven’t received any notice by email or otherwise notifying me that I won. These Items have just been popping up in the mail and they come directly from the manufacturer without a note enclosed. At first I though I was receiving free samples from one of the companies I am partnered with but then I recognized one of the items from the contest. 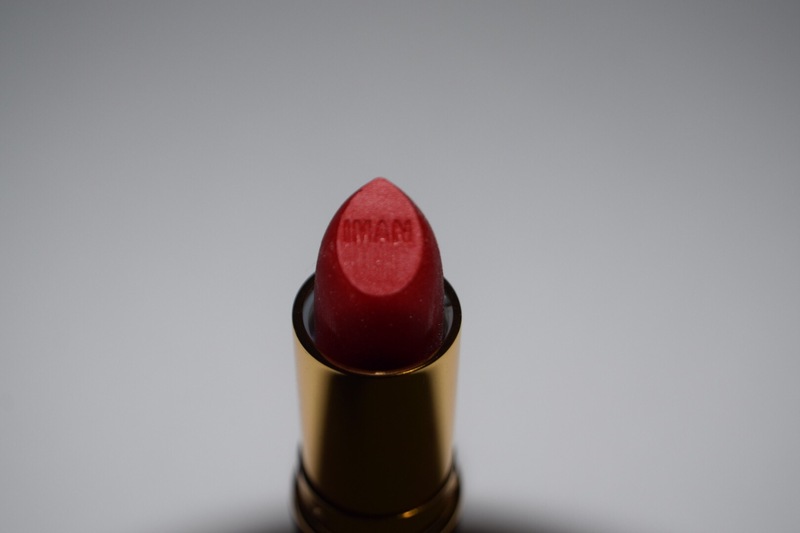 The second package came the last week in October and it was a beautiful red lipstick from a company that I was not familiar with. 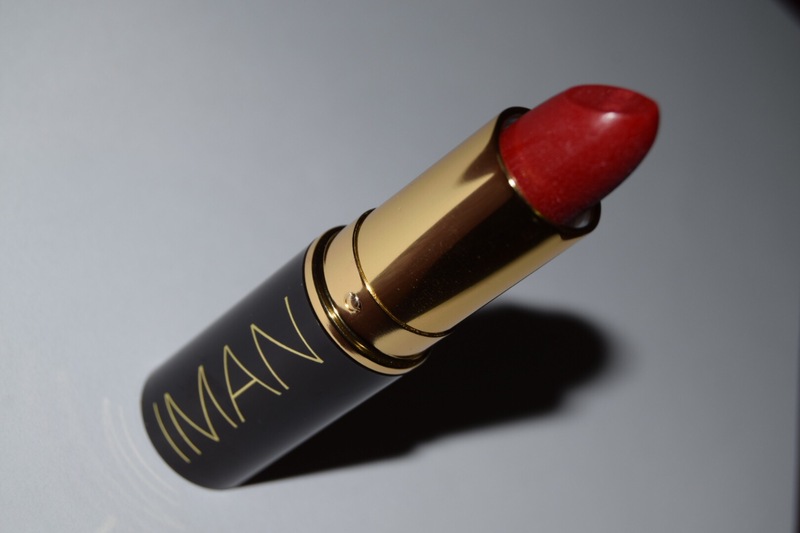 It’s made by IMAN and I’m pretty sure the bottom had a misprint because it reads “Luxury Moisturing Lipstick” the shade is Scandalous. 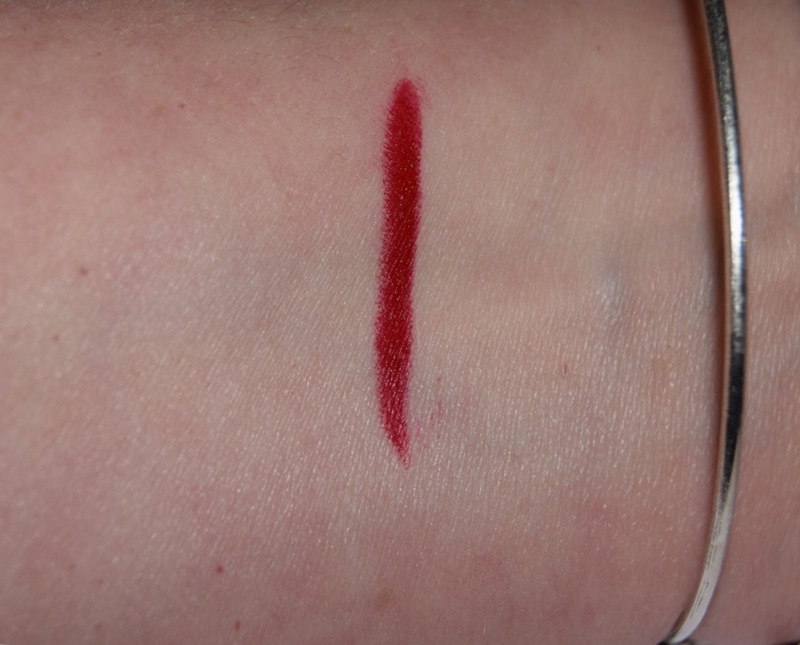 I have only swatched it so far and I know it’s a true red and was difficult to remove the swatch, which is a good thing. It’s sold at major retailers and costs about $10 USD and can be purchased here. 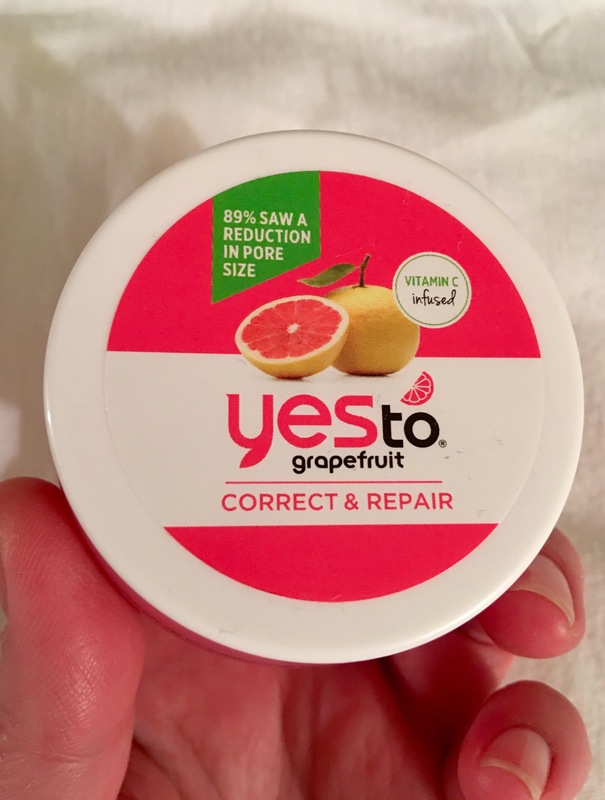 The last package I received from the Allure contest was the first week of November and it was Say Yes To Grapefruit Pore Brightening Peel. 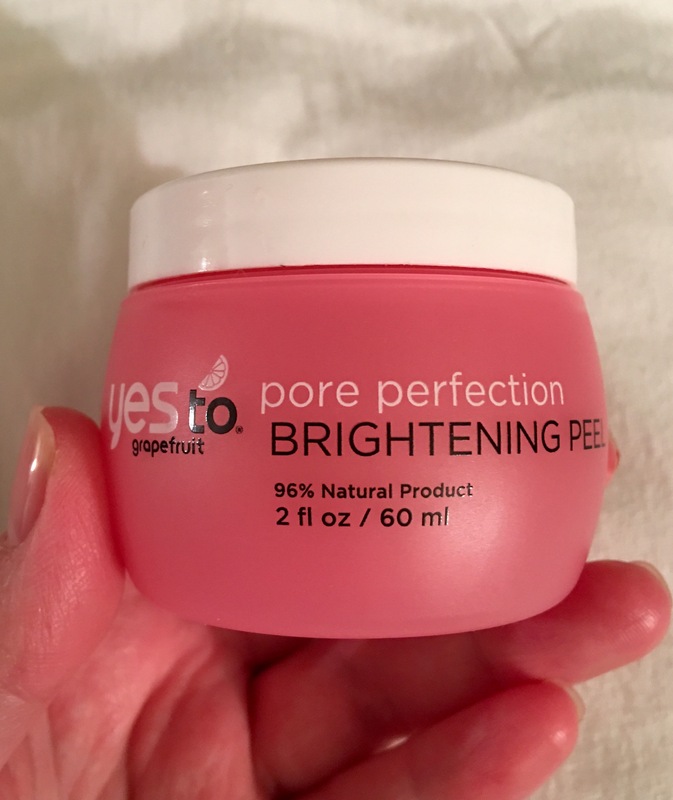 Over time it claims to diminish pore size Basically you apply it to the face and leave on for 10 minutes then rinse with warm water. 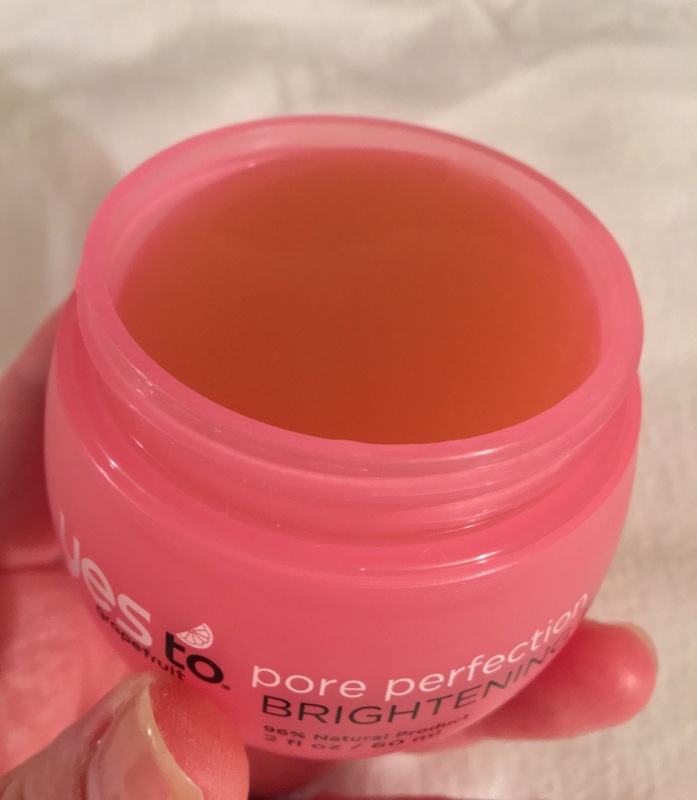 It’s a gel consistency and this stuff truly smelled like I rubbed a grapefruit all over my face. I will say that it had a little but of a sting when first applied most likely from the acid in the grapefruit. 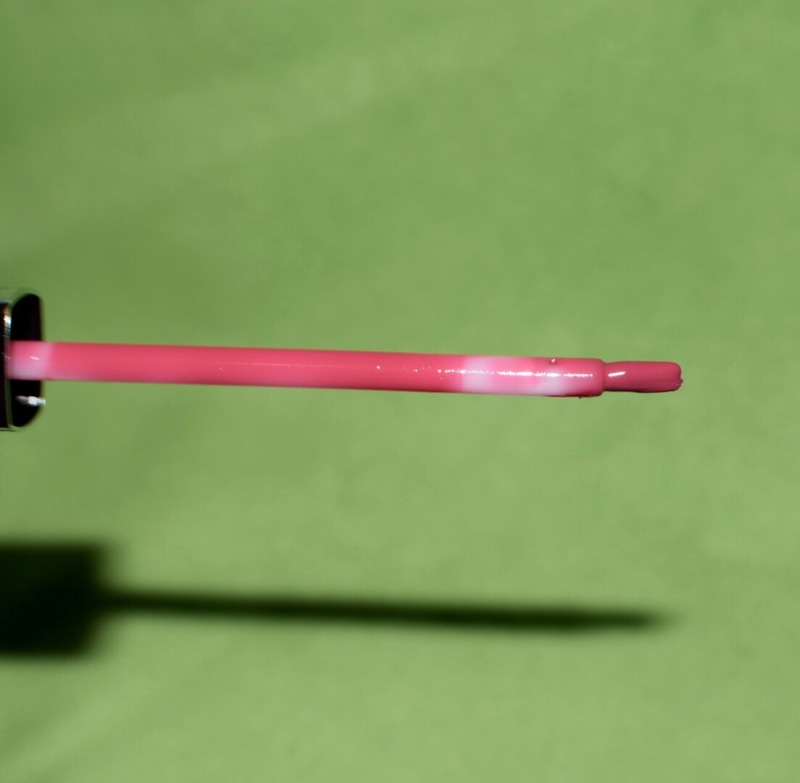 It wasn’t overbearing but it dries pretty stiff as typical for gel peels. My face appeared brighter but I can’t say that I had great results but my pores did improve a bit. The effect was short-lived because the brightness faded by the following day. This peel is reasonably priced at $15.99 at Target. 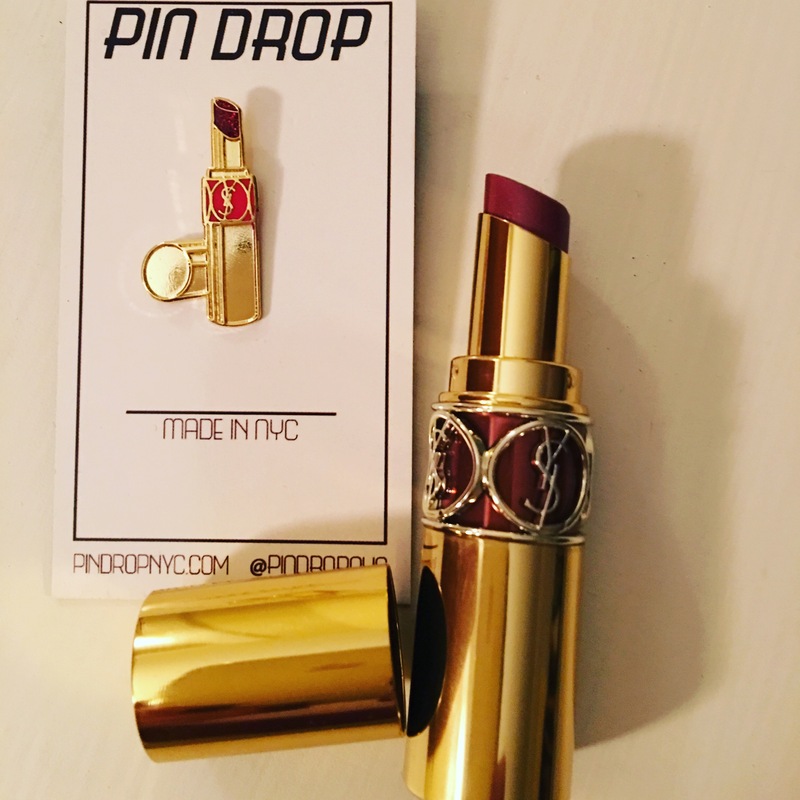 This last surprise was a gift from my husband from Pin Drop NYC. It’s the cutest pin I own. 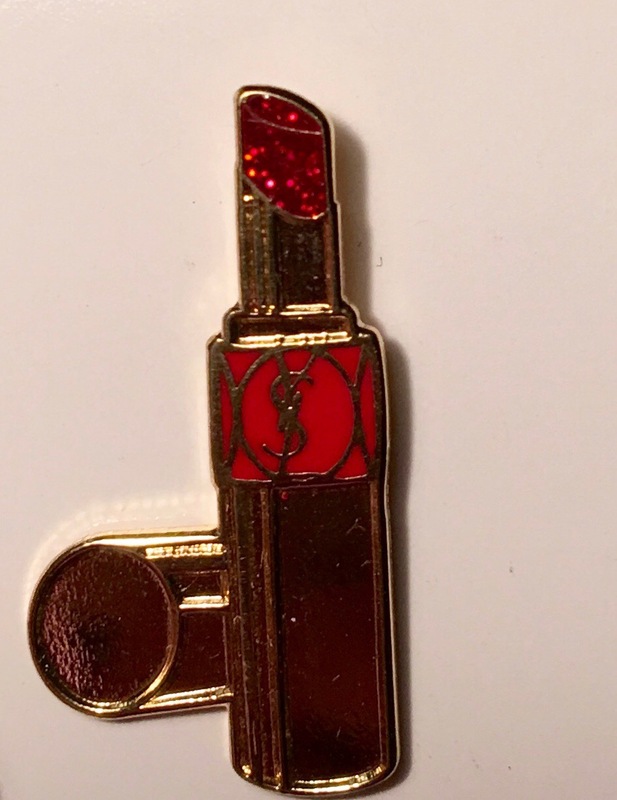 It’s a miniature Yves St Laurent Rouge Volupte Shine Lipstick. 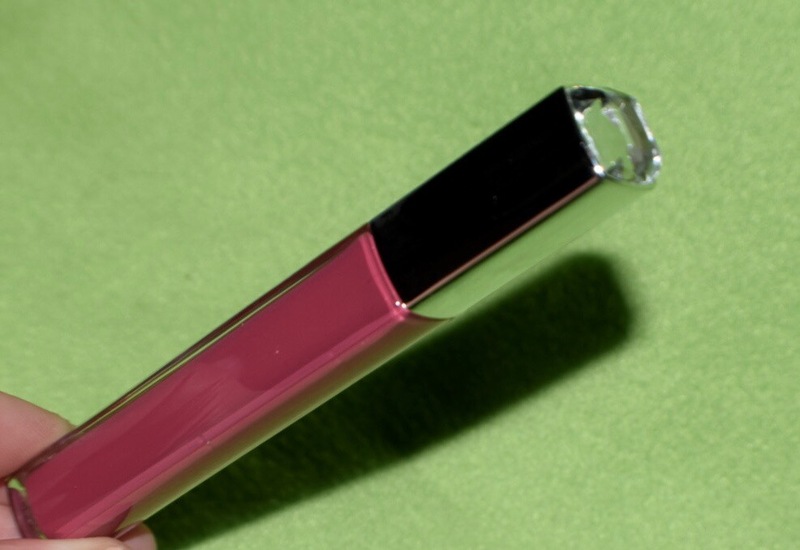 It’s an exact duplicate of the real lipsticks. The detail is amazing, even down to the sparkly red tip. 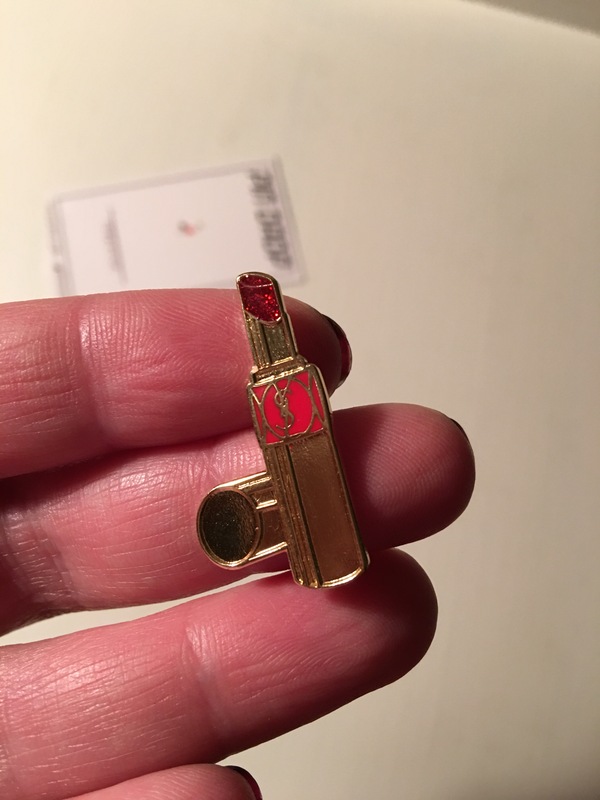 This company has some really unique pins check them out here. Has anyone else received items from Allure or subscribe to Kawaii Box? I would live to know what you received so give me some lip.